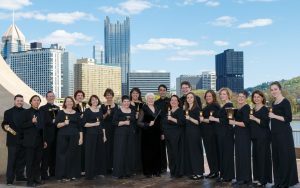 Three Rivers Ringers begins a new season of Holiday Bells, n’at! Yinz won’t believe your ears when you hear Pixburgh’s premier handbell ensemble playing a whole new program of beautiful holiday music, perfect for the whole family. At this year’s Winter Concert Series, you’ll hear powerful versions of On this Day, Earth Shall Ring and O Holy Night, as well as tour de force performances of God With Us For All Time and Christmas Eve (Sarajevo 12/24). Write dahn the dates – don’t miss aht!